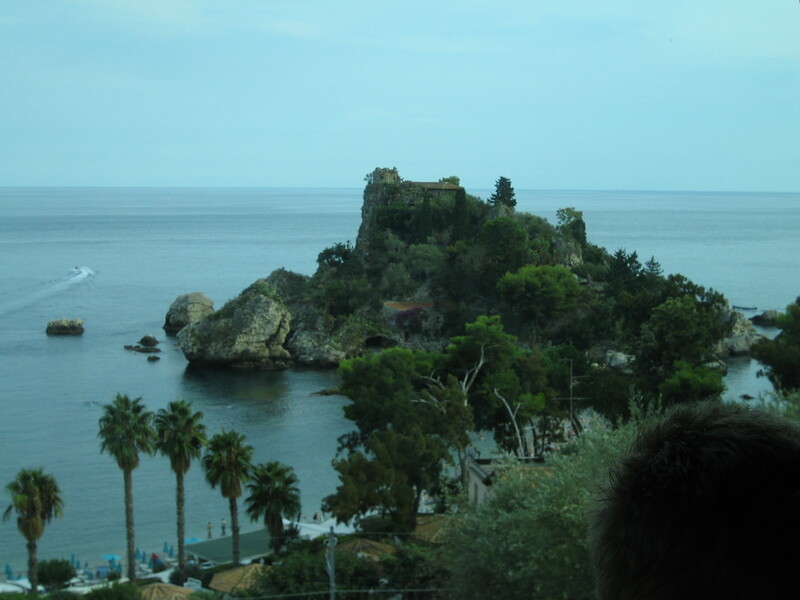 Passing this island in the sea (a good place for a castle? ), we went to the bay of Naxos. At home, we have some dried rose leafs from there ... it would be a promising place! 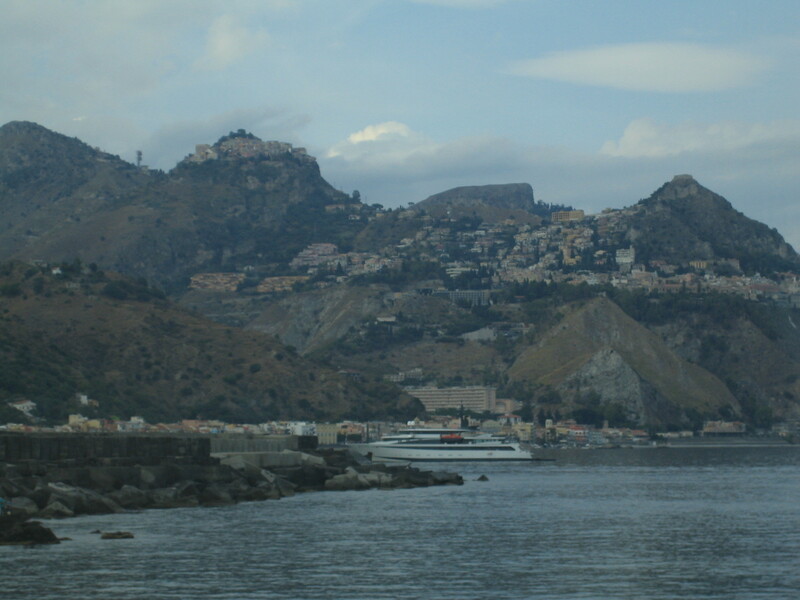 The idyllic villages in the hills watch over the bay while a great ship rushes into the port. 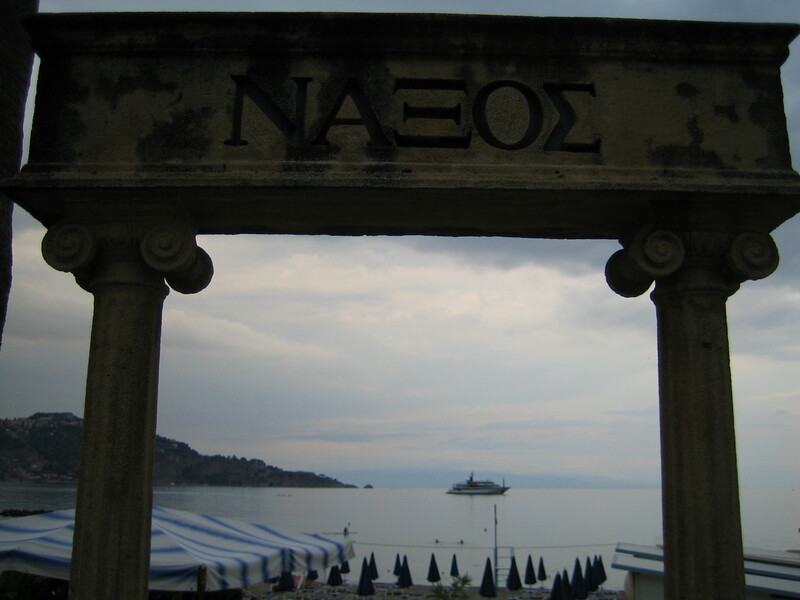 This sign with Ionic columns greeted the visitors in Greek reading "Naxos". In the background, you can see the ship from the last photo (?). 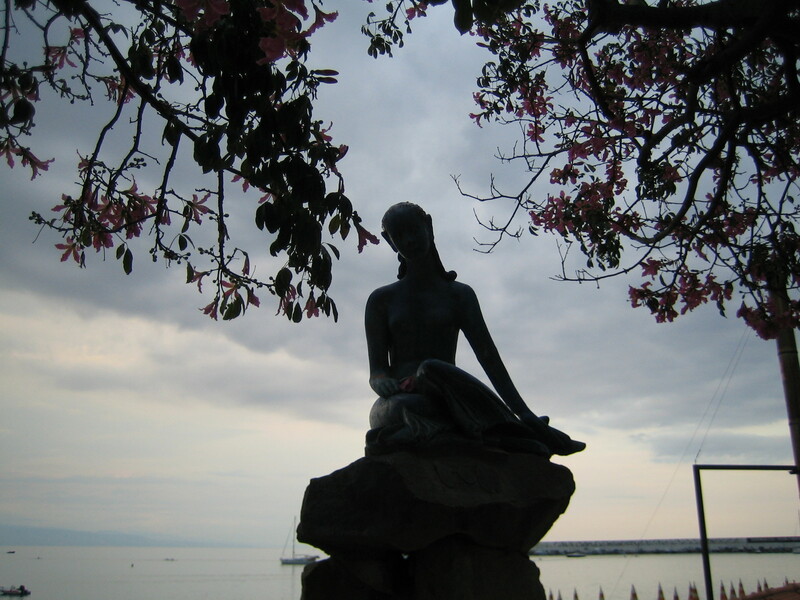 This statue at the beach probably shows Nausicaa, a young woman from ancient mythology who cared for Odysseus as he was wounded and tired. This content has been entered in the Erasmus Travellers Competition and have earned 126 points.